CTGlobal Attending Microsoft Techdays in Stockholm this week! 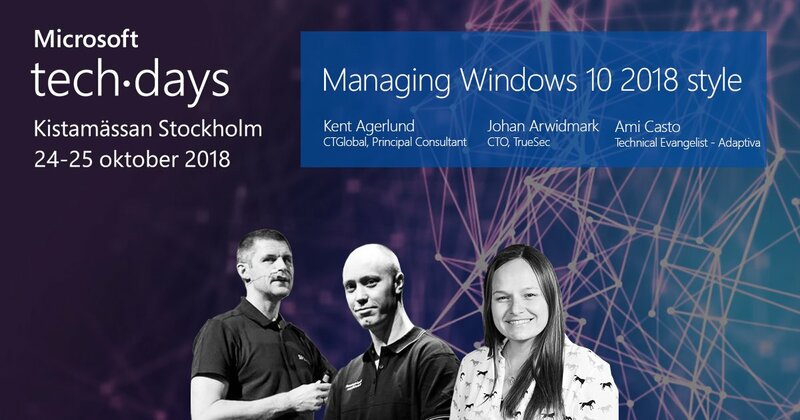 Again this year, CTGlobal’s Principal Consultant and Microsoft MVP & Microsoft Regional Director Kent Agerlund is invited to conduct sessions at the largest annual Swedish conference Microsoft Techdays. This two-day conference is held to help the participants who are IT influencers, implementers, developers, data professionals and IT decision makers to understand the very latest of the ever-changing technology. Furthermore, experts like Kent Agerlund at this inspiring conference will through their strategic technical sessions try to give a deep understanding and knowledge about Microsoft products and services and teach you how to think strategically about digitization and new innovative technical solutions. Microsoft TechDays is not only an opportunity for skills development, but also a vibrant meeting place with over 40 exhibitors offering a wonderful array of activities, demos and solutions. CTGlobal at Experts Live Europe in Prague!